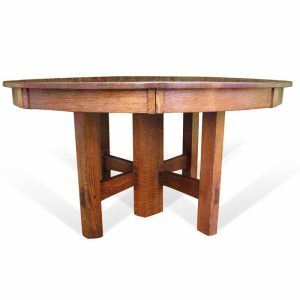 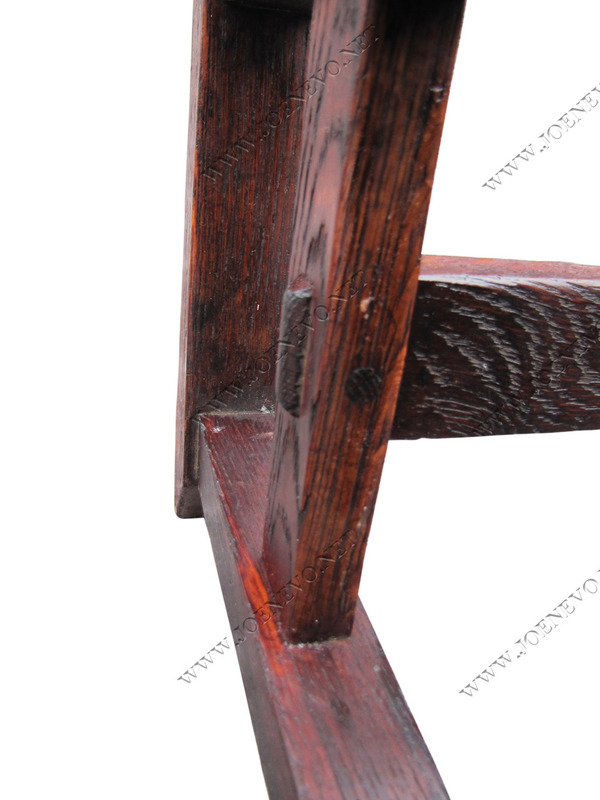 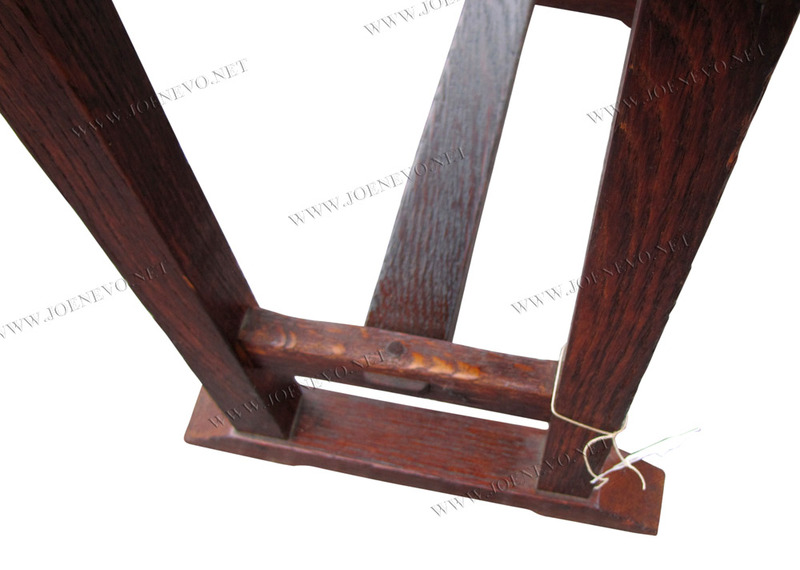 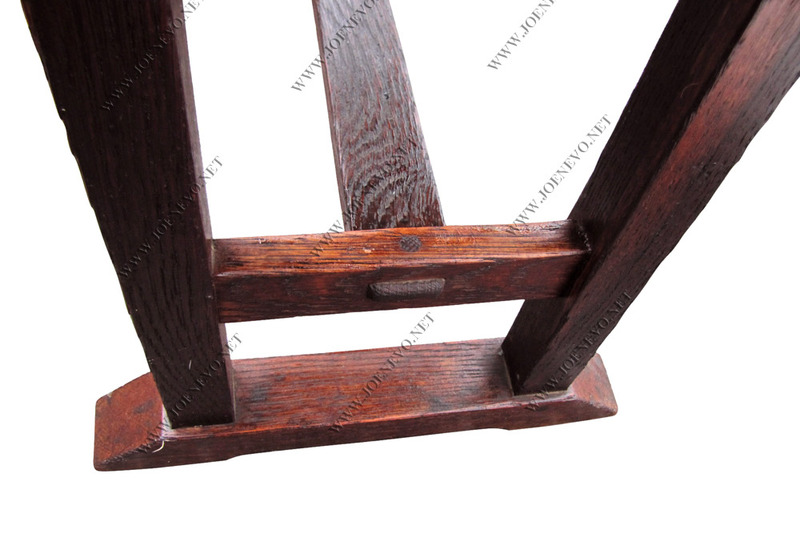 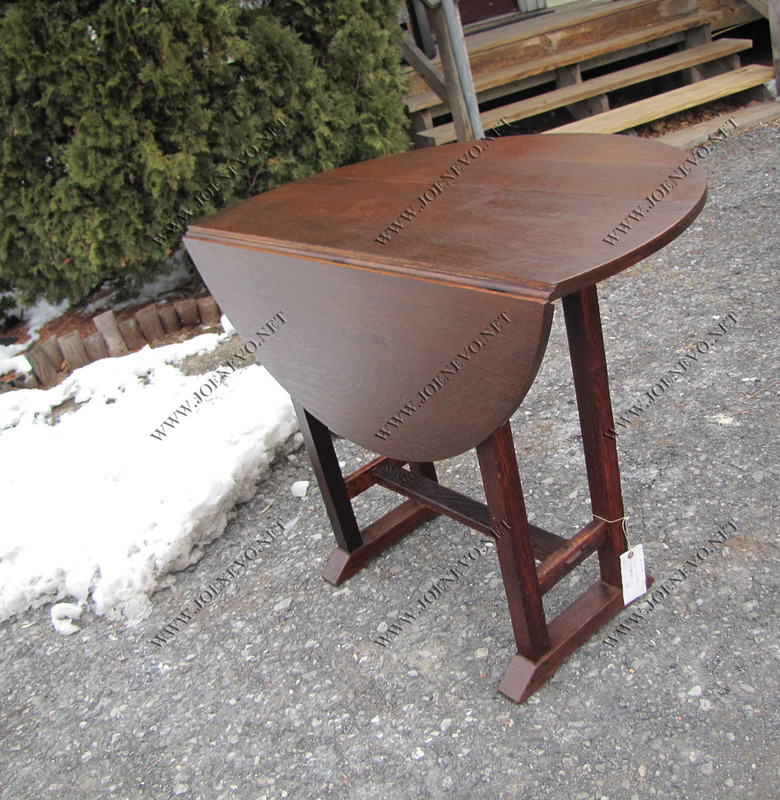 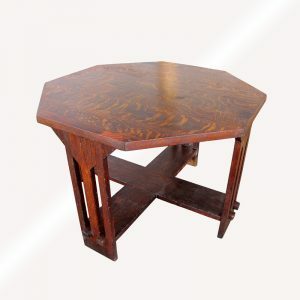 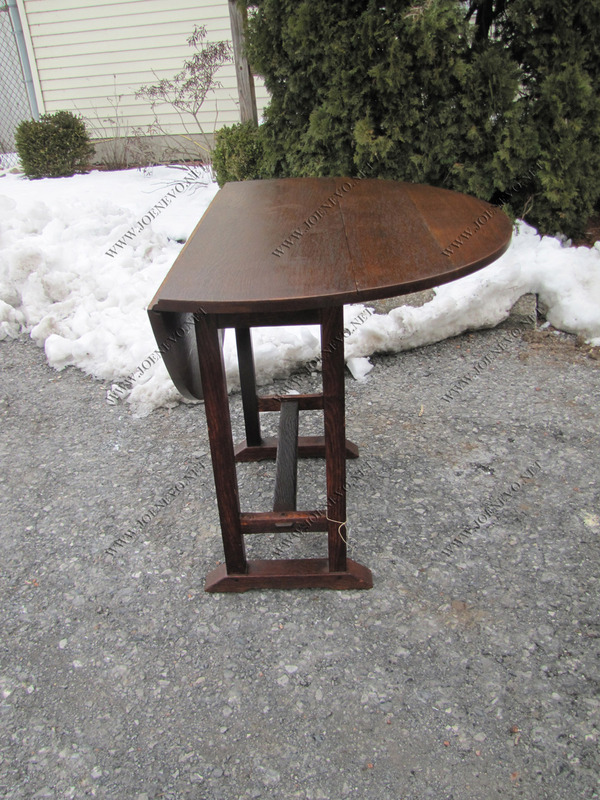 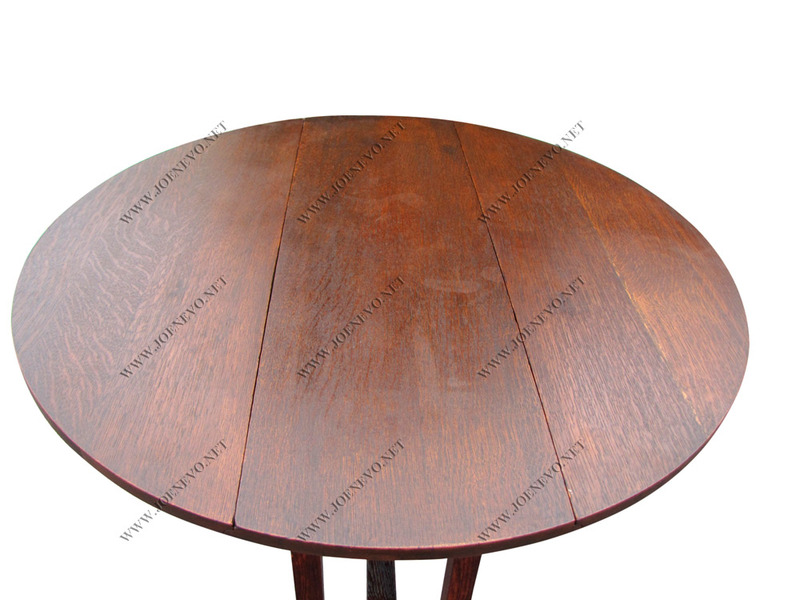 Home » Shop » Antique Furniture » Tables » Antique Mission Gustav Stickley Drop Leaf Table w2917? 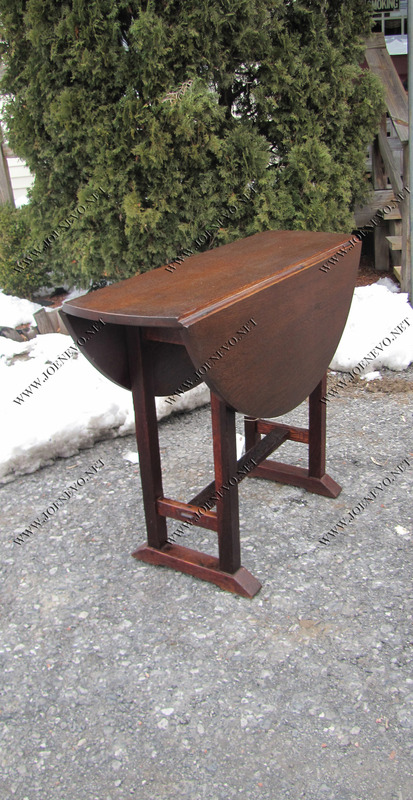 This is an antique GUSTAV STICKLEY drop leaf table arts and crafts period from early 1900s in very good condition. 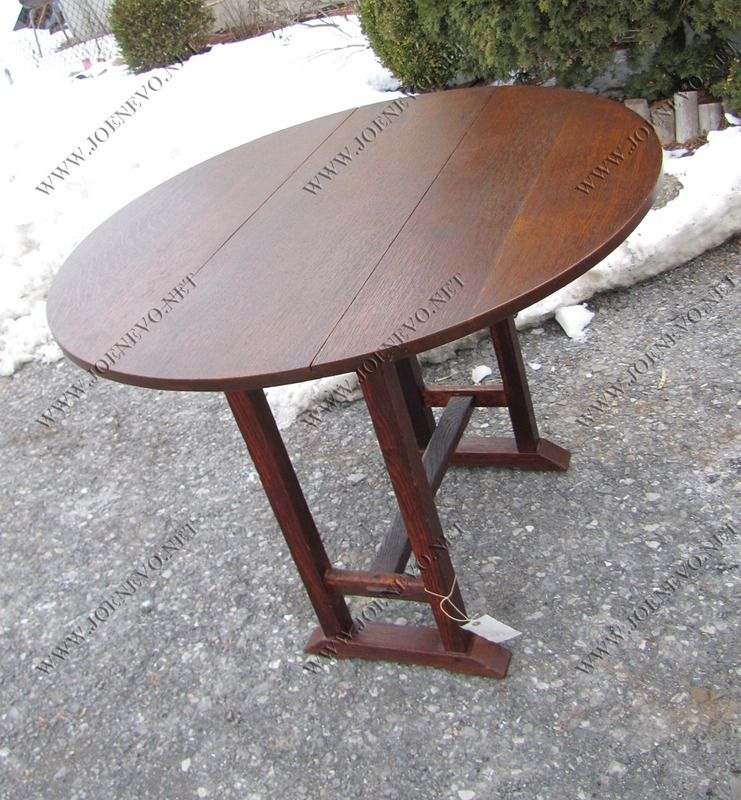 The table made out of quarter sawn oak with cleaned original finish with good color and with no breaks gouges or repairs with all original parts. 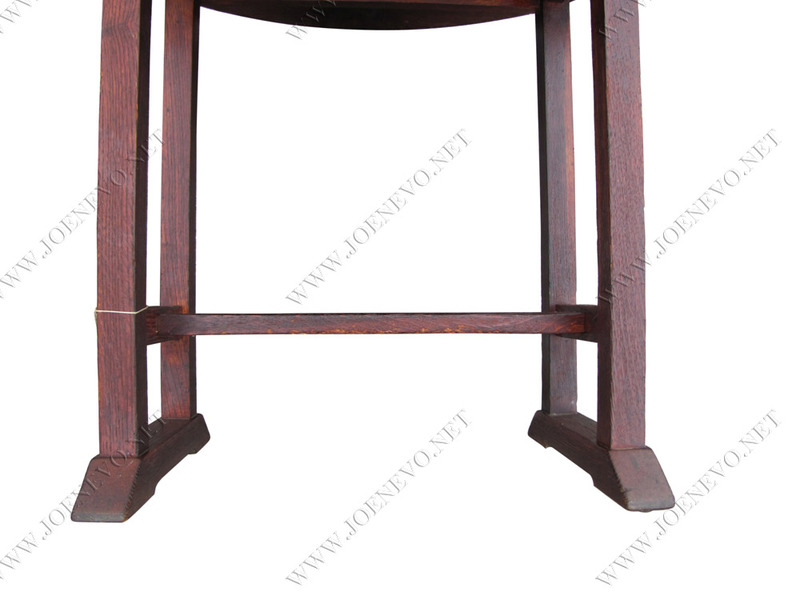 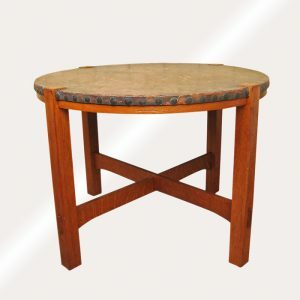 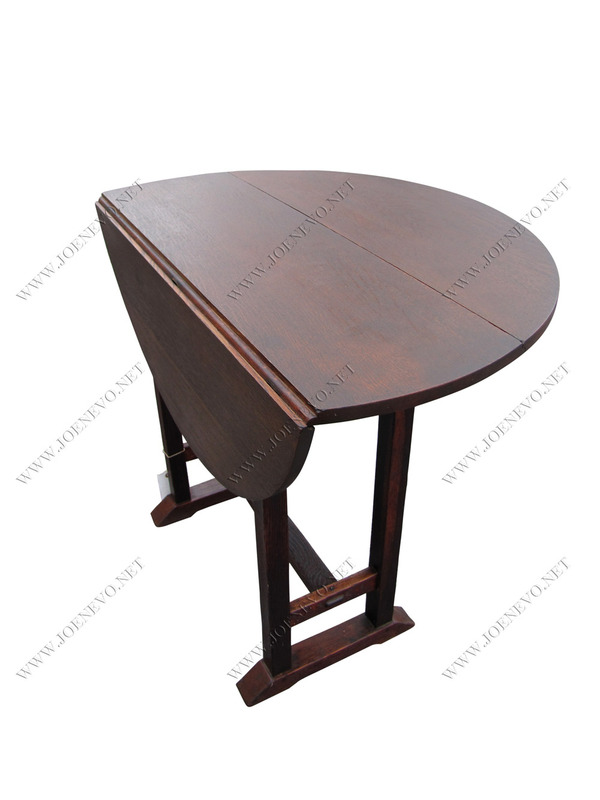 This table has an exceptional form with thru tenon construction on the bottom and pinned with beautiful shoe feet and its mark with decal. 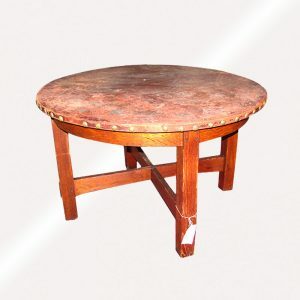 We do have or sold this model GUS STICKLEY table with other top sizes.